At family dinners around the holidays, I always look for fun ways to entertain our youngest guests at the kids’ table. That way they can be doing something fun and engaging rather than staring at screens. This year we are going to have a little crafting going on at the table while everyone waits for dinner. 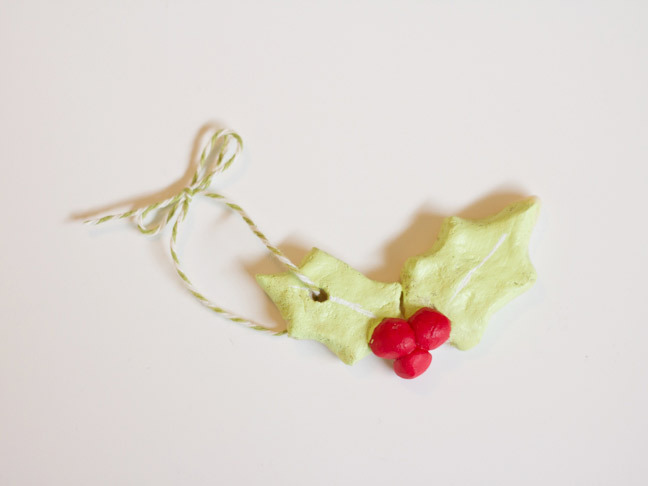 Salt dough ornaments are a simple DIY that kids of any age can make, and they are incredibly easy to clean up. They can be made right at the dinner table before you serve the big meal, and then can be placed in the still warm oven to bake while you eat. 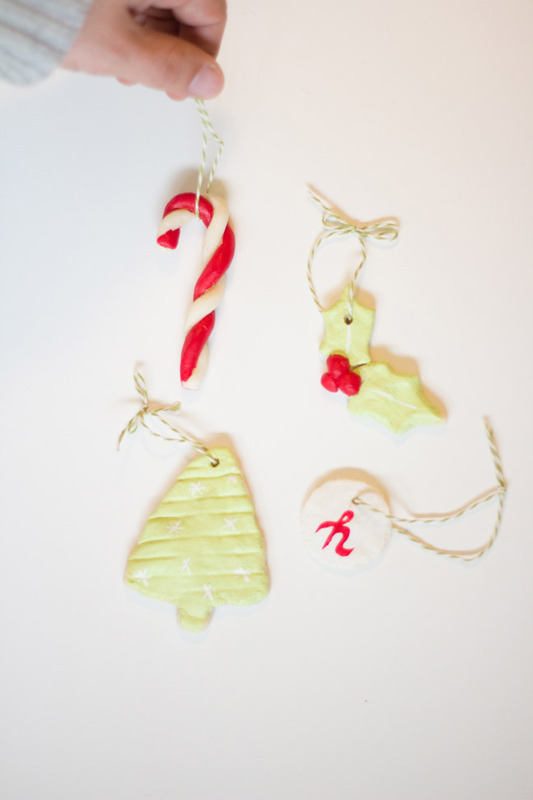 You can decorate them as an after dinner activity, or even send home the unpainted ornaments with guests to finish later. There are so many possibilities with the decorations. I can’t wait to see what my niece and nephew come up with this year. 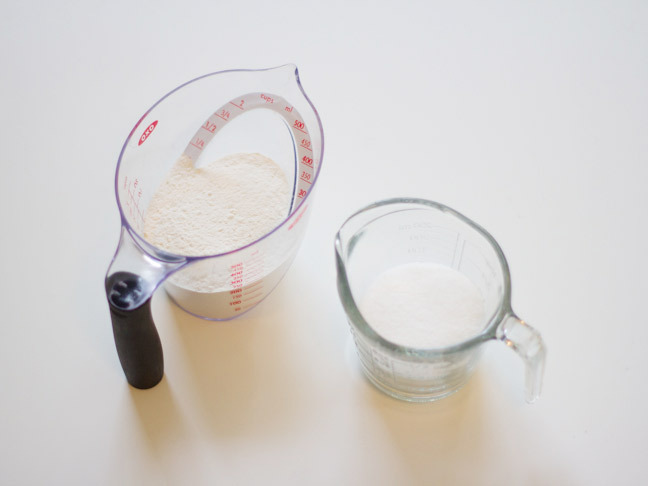 Step 1: Mix 1 cup of flour, ½ cup of salt, and ½ cup warm water together in a bowl. 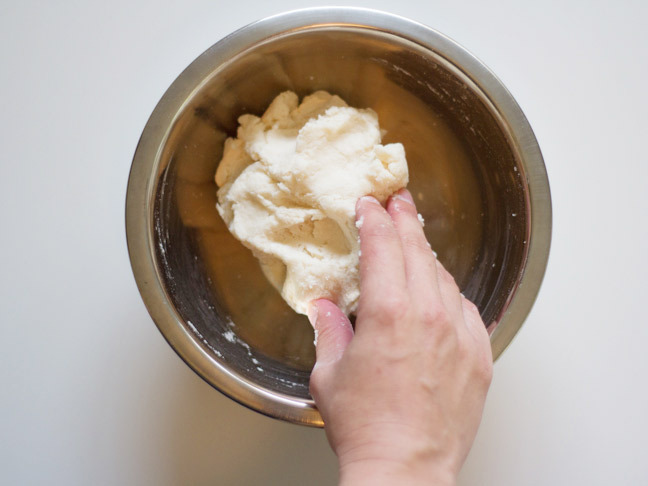 Step 2: Mix dough with your hands until all ingredients are mixed evenly. Feel free to get creative and add food coloring! 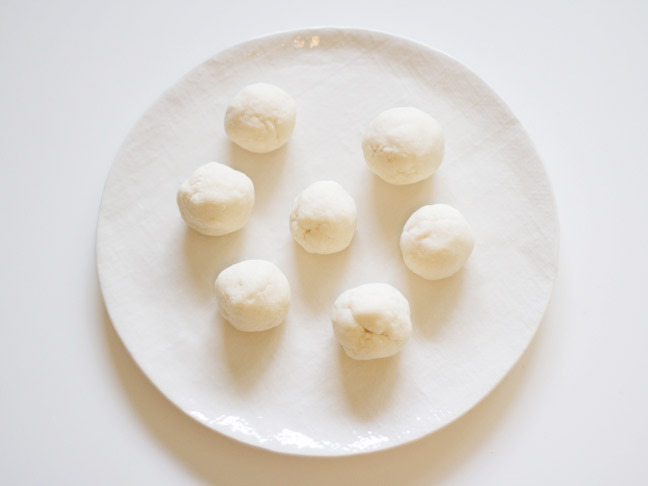 Step 3: Place a ball of dough in front of each kid’s place setting at the table. 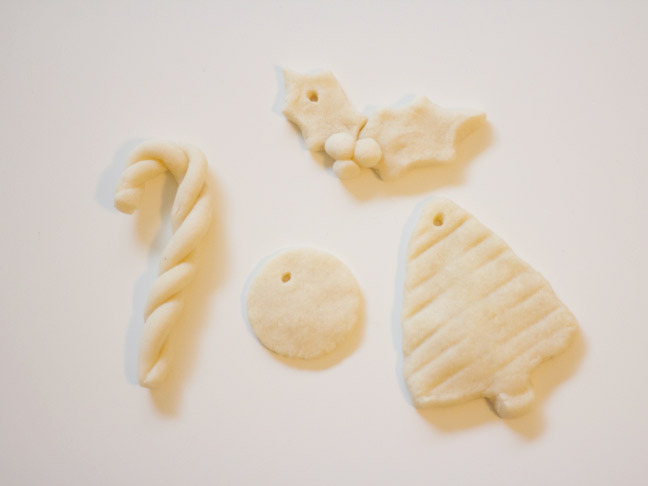 Kids can mold the dough into various shapes with their hands and create custom ornaments. 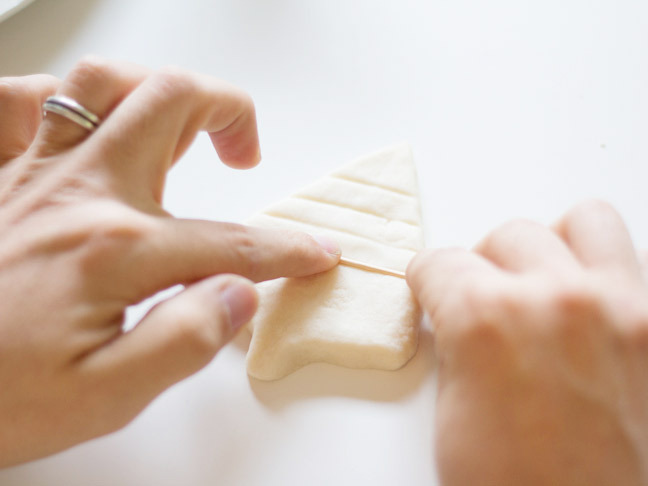 Help them come up with ideas and form the dough into their desired shapes. 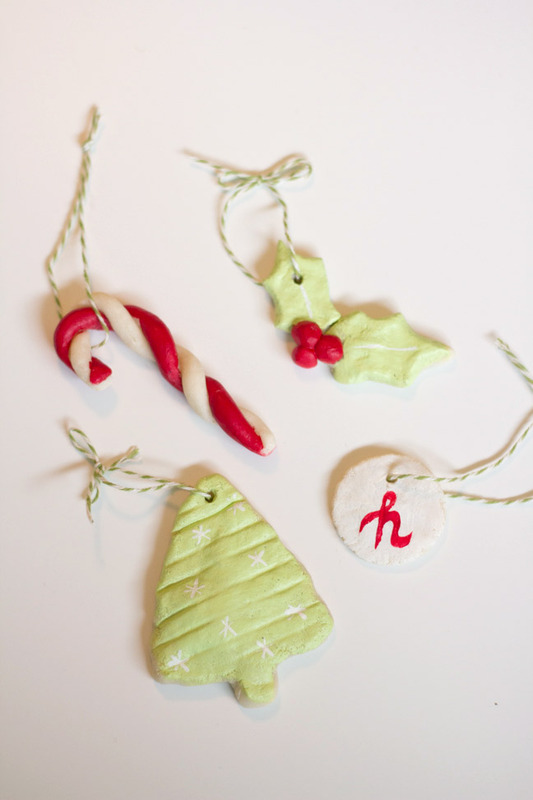 Step 4: Use a toothpick to make any designs on the ornaments. 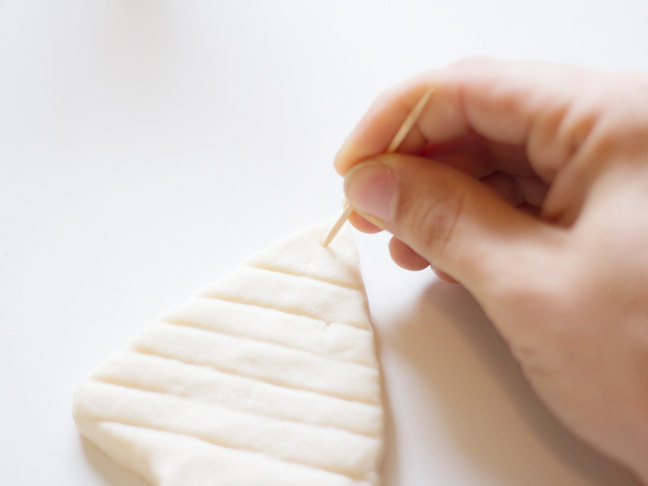 Then use the toothpick to form a hole at the top of the ornament for a piece of twine. 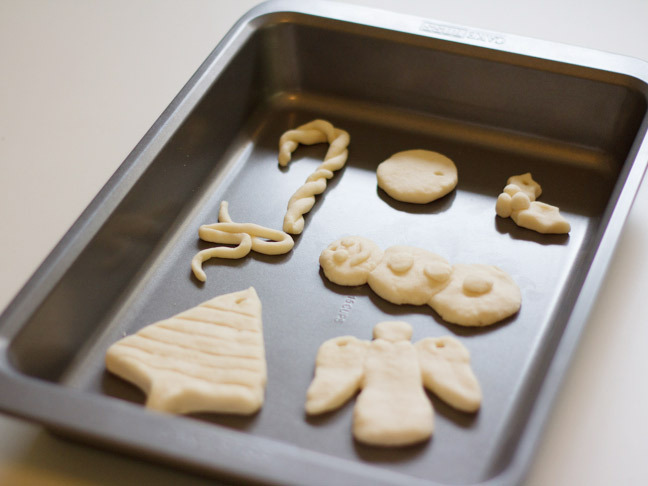 Step 5: Transfer the ornaments to a baking sheet, being careful to keep their form. It is easy to reshape them once they are in place. Step 6: Bake the ornaments in a warm oven for about 45 minutes. It’s perfect for dinner, because you can finish cooking the turkey, turn off the oven, and let the ornaments bake while you eat. 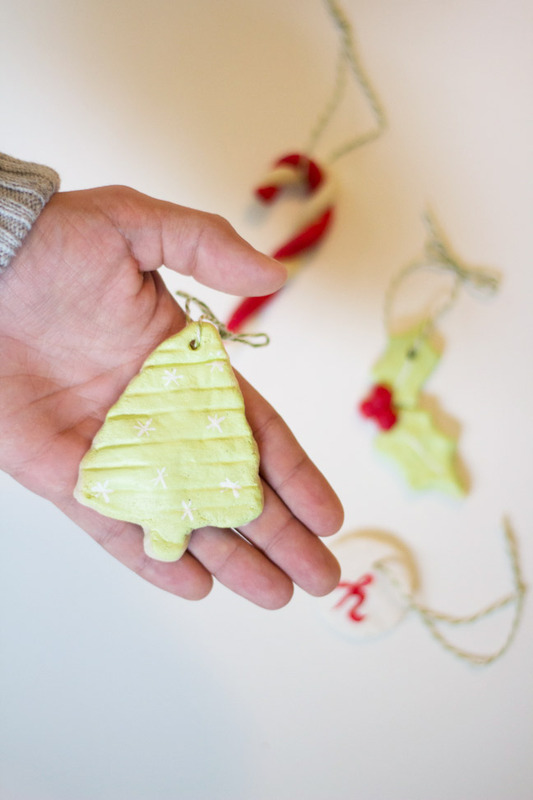 Step 7: Once your ornaments have hardened and cooled, tie a piece of twine through the hole. 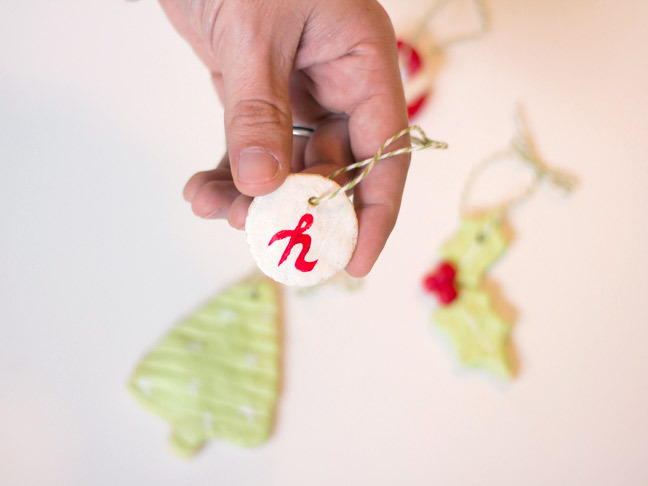 You can stop here and send your unpainted ornaments home with your guests to decorate later. 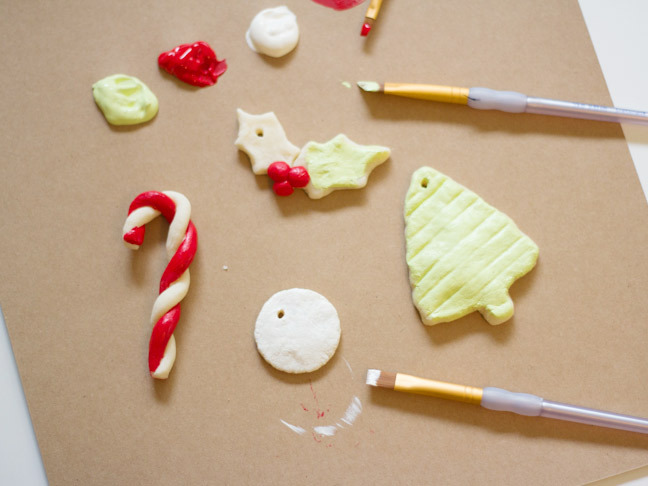 Or break out the craft paint and have a mini painting party after dessert!